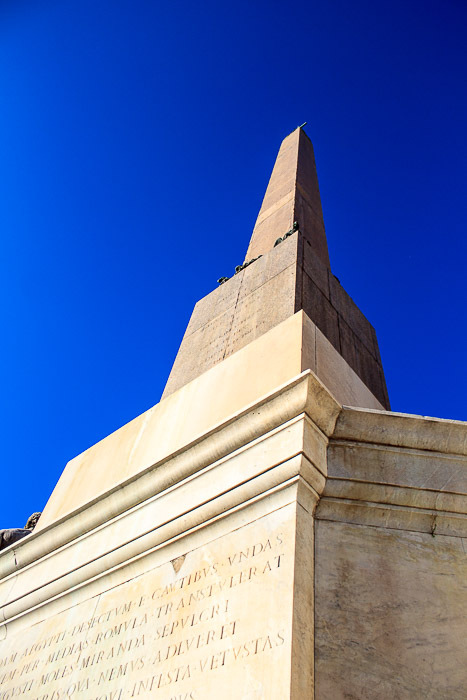 The Quirinal Obelisk is 48 feet tall (94.9 feet with base), but has no hieroglyphics since it is a Roman imitiation of an Egyptian obelisk. This, and its sister obelisk, the Esquiline Obelisk, were probably quarried by the Romans in the late first century AD. This one was erected on the eastern flank of the Mausuleum of Augustus, paired with the Esquiline Obelisk on the western flank. Both obelisks fell into pieces and as the area was often flooded by the Tiber River they disappeared into the ground under a covering of silt. It was found in 1527, but left in place. It was rediscovered in 1781, broken into three pieces. It was repaired and re-erected in 1786, under Pope Pius VI, on the Quirinal Hill between the two existing colossal statues of the Dioscuri (Castor and Pollux) from the Baths of Constantine. A large bowl fountain also exists at the feet of the obelisk. The Italian flag flies behind the obelisk above the Quirinale Palace, former summer home of the popes and present-day home of Italy's President. 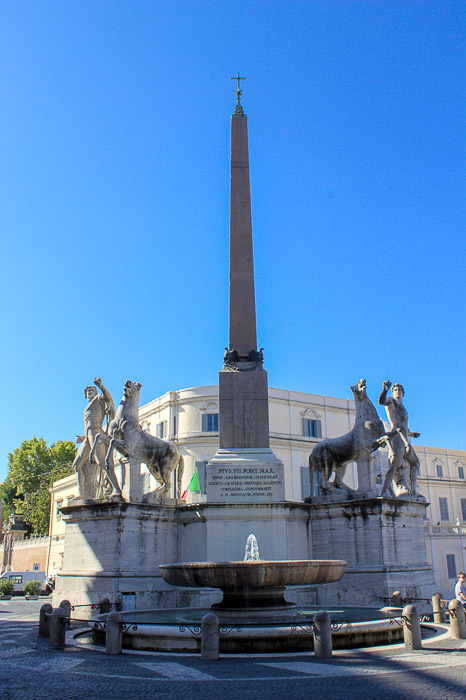 The Quirinal Obelisk (along with the Esquiline Obelisk and the Sallustian Obelisk) can be seen from the corner of the four fountains, at the intersection of Via 20 Settembre and Via delle Quattro Fontane. 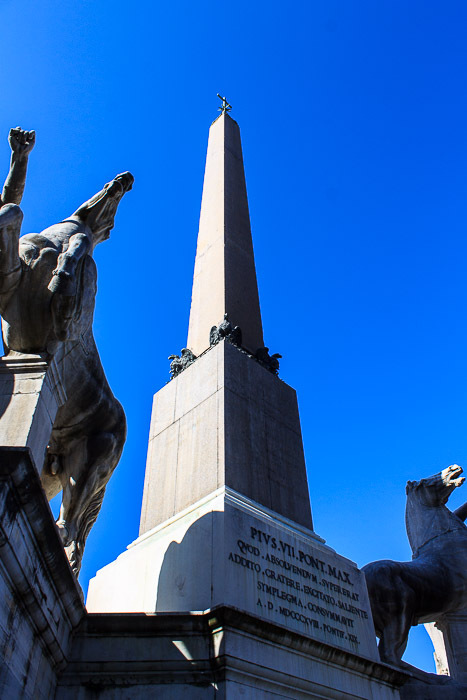 See all Quirinal Obelisk photos.